Hey crafty friends! Candace from Scrappin' 2 Little Princesses here! I don't know about you, but I feel like it is always someone's birthday. I can never keep enough cards and gift bags on hand. 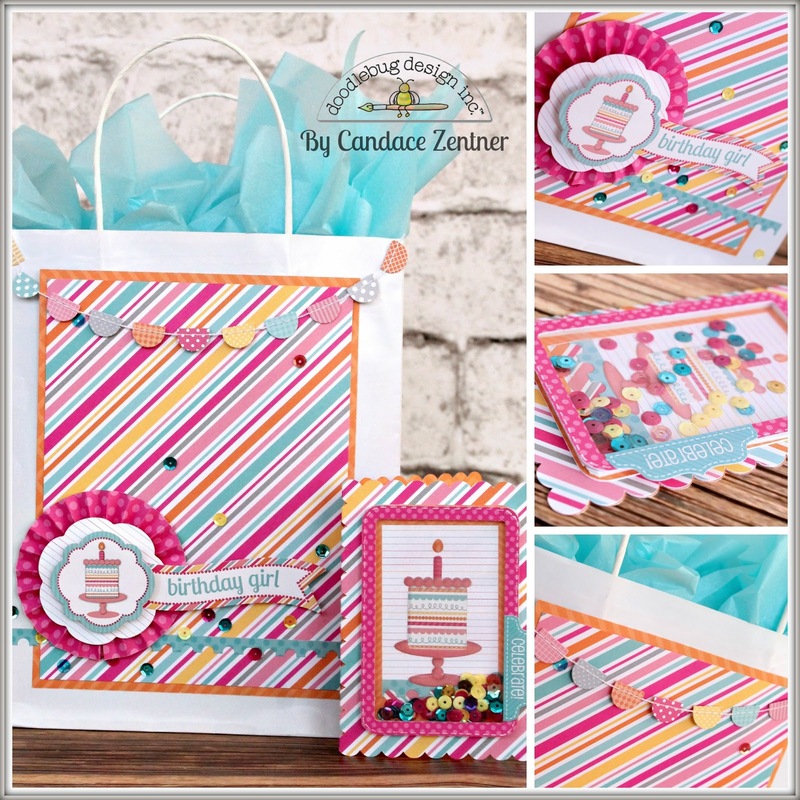 I love to make a statement with my cards and bags and I knew creating with the Sugar Shoppe collection would definitely make a statement. 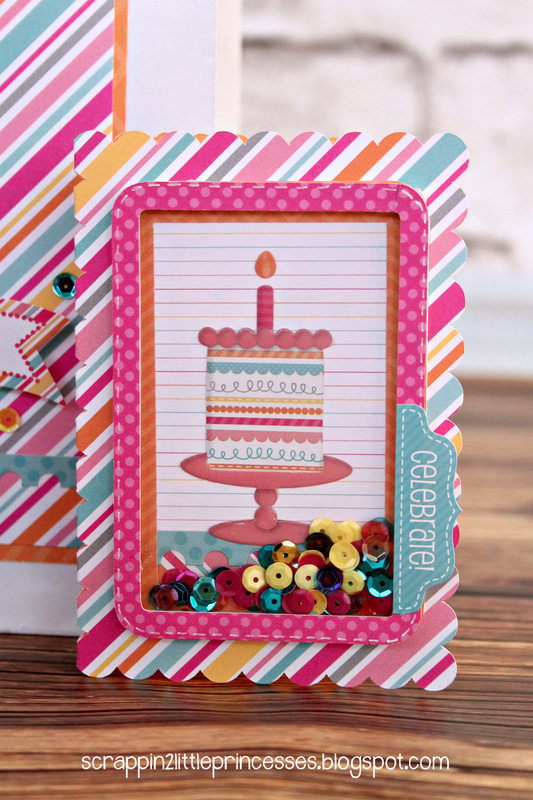 Shaker cards are all the rage right now and the gorgeous Doodlebug sequins work perfectly inside! I love that the bottles of sequins have so many different shades and finishes, making it easy to choose the ones that perfectly match my projects. I used some foam tape (two layers) to make room for the sequins in between my cake sticker and plastic acetate layer. The colors in this collection are to die for!! So trendy, bright and fun! 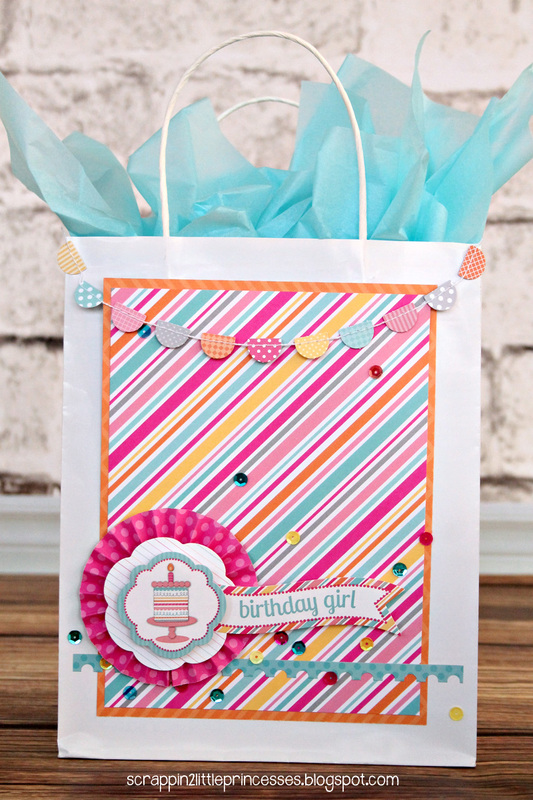 I took a plain white gift bag and added some patterned paper and used some stickers and sequins to embellish. To add dimension and interest to my bag, I made a rosette from patterned paper and layered a sticker over top using a foam sticker. A drape of stitched garland along the top of my bag was the perfect finishing touch! I am sure whoever I decide to give this too is going to be more in love with the packaging than the actual gift! 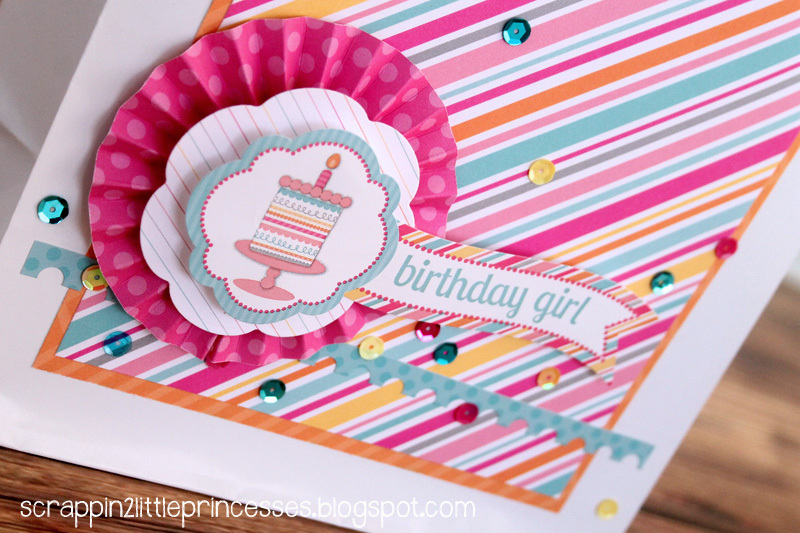 I am so in love with the Sugar Shoppe Collection and cannot wait to create more projects with it! Definitely one of my favorites from Doodlebug! 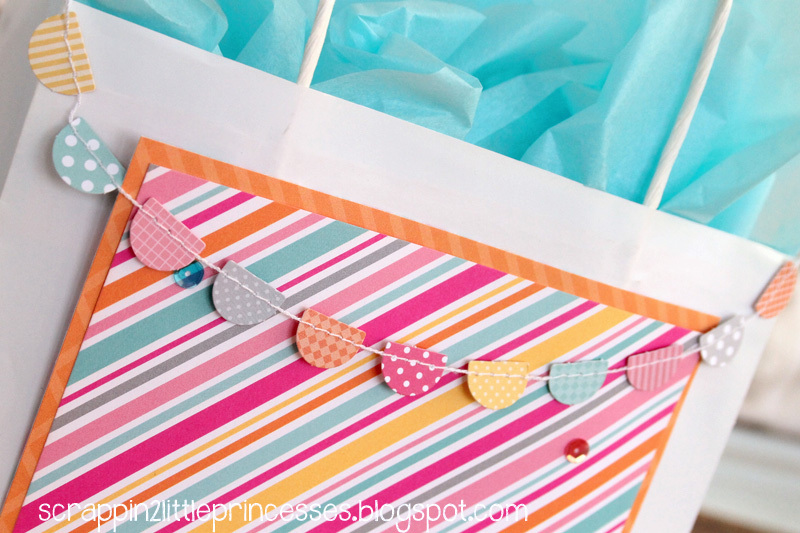 These cute gift bag and card are the perfect complement to any girl's party dream! They are the cherry on top! I love them! Thanks for the inspiration! Love today's projects! I pinned! The card......very cute!! The more items I see done with this collection the more I want it right now!! Of course I had to pin that awesome bag too!! Lol, I just picked up some sequins today!!!! great card and bag, great gift idea. I love this set Candace!!! What a beautiful gift bag and shaker card! I love how bright and cheerful they are! 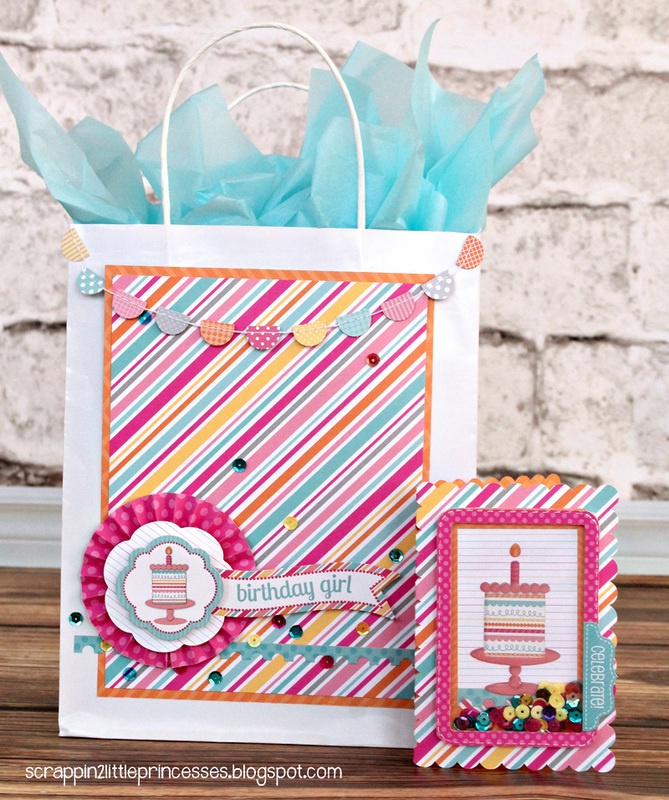 SUPER CUTE card and bag Candace - LOVE IT ALL, especially your mini garland, rosette and sweet sequin shaker!!! Always so colorful and great designs! Love those sequins! 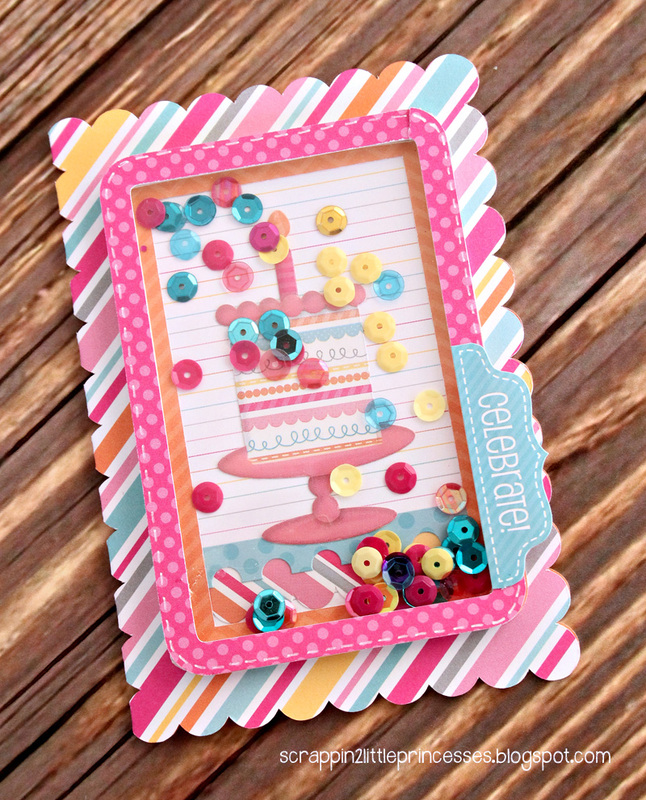 Perfectly fun and cheery! TFS! Hip Hip Hooray: Sweetest Birthday Setup Ever!